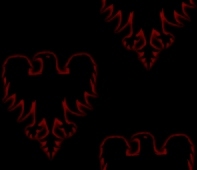 In a crumbling ancient castle clinging to the jagged rocks of an isolated Cornish island, evil vampire Countess Morticia de'Ath (Pamela Kempthorne) languishes in her coffin, concocting a sinister and monstrous plan. However, constantly blundering in her way are two bickering London office workers and a mysteriously enigmatic, vampire-hunting window cleaner. This unlikely trio must desperately fight to stay alive and to stop the spread of Morticia's terrifyingly vicious vampire army. 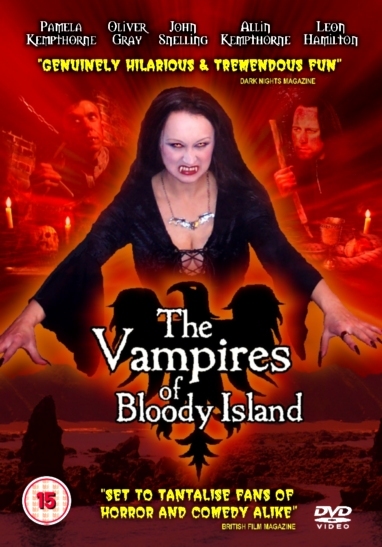 Filled to it's rotting rafters with atmospherically creepy locations, comically captivating characters and witty, very quotable dialogue, "THE VAMPIRES OF BLOODY ISLAND" is a hugely entertaining, irreverent send-up of every vampire film you've ever loved and an absolute must-have for your DVD collection. "This has got to be the hottest new Vamp movie DVD out right now. Independent movie-makers Wibbell show every sign of having a cult hit on their hands"
"In respect of the soundtrack, Wow!" Everyone who calls themselves a Goth NEEDS to own this film!" 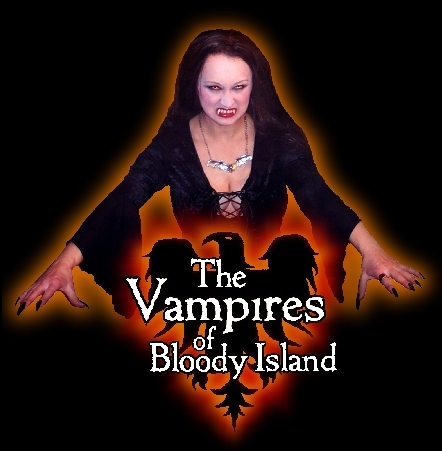 THE VAMPIRES OF BLOODY ISLAND IS A REAL CULT HIT! rave reviews in newspapers and magazines all over the world and all over the web! We all know what great bands Inkubus Sukkubus and Vampire Division are, so it was only a matter of time before their fantastic music ended up in a movie! 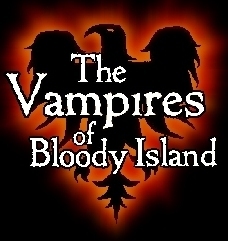 So we've negotiated a special discount for all fans of the bands to thank them for being part of The Vampires of Bloody Island's kicking soundtrack! 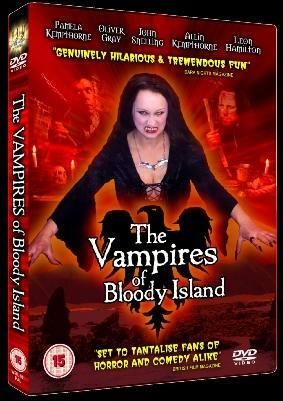 SAVE OVER A THIRD ON THIS HILARIOUS CULT VAMPIRE DVD NOW! The price in the shops is £15.95. But fans of Inkubus Sukkubus and Vampire Divison get it right here for only £9.95. This special discounted price is for a limited time only. Like your collectables? For just another £2 you can have your DVD autographed by the film's creators and stars Allin Kempthorne and Pamela Kempthorne. Wow! The NTSC version of the DVD is expected to be released at the end of April. We know you want it as soon as possible so give us your email address and hit SEND and we'll let you know the very moment it's available! and all NTSC regions (except China). Don't know if you're PAL or NTSC?